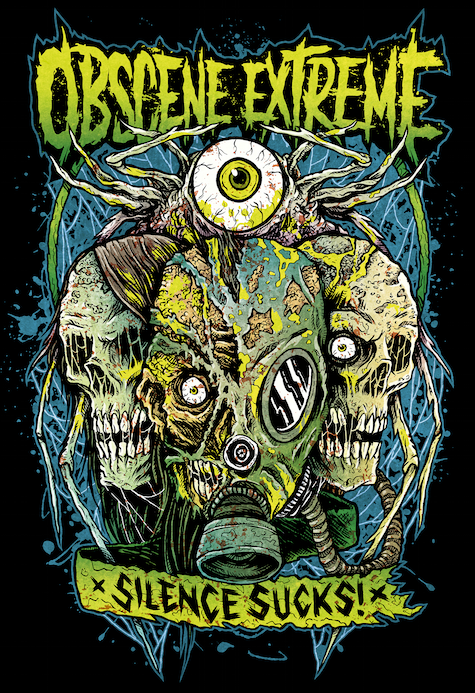 Obscene Extreme Festival 2018 will take place in Trutnov, Czech Republic on July 18-22, 2018. 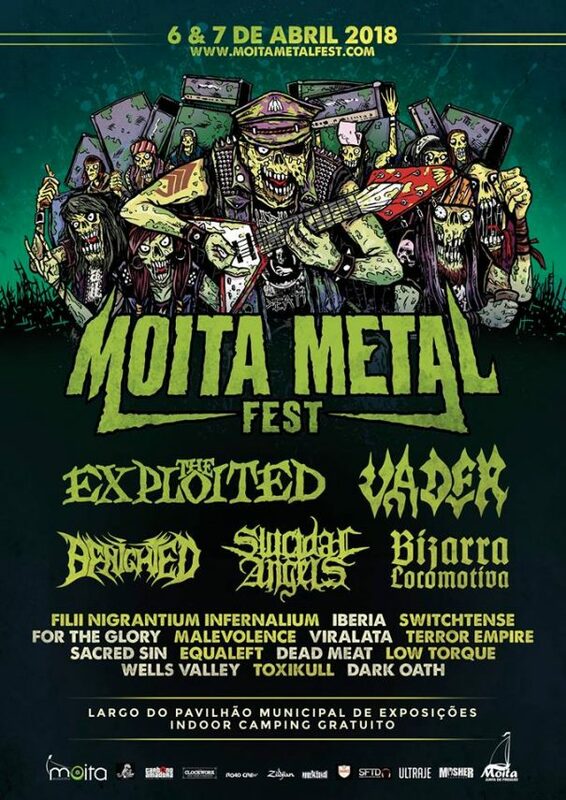 Benighted, General Surgery and Rotten Sound are among the bands that will perform at Obscene Extreme Festival 2018 festival. Royal Metal Fest 2017 will take place in Aarhus, Denmark on April 7-8, 2017. 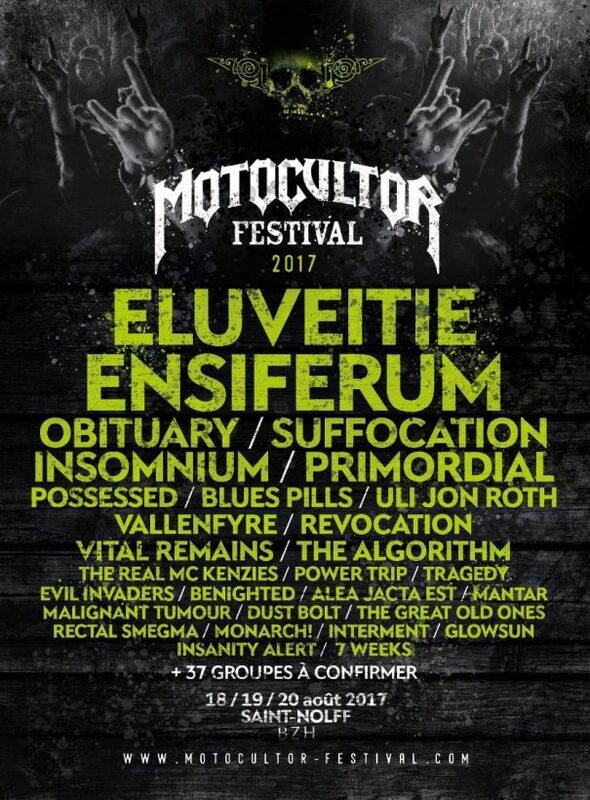 Immolation, Vader and Havok are among the bands that will perform at Royal Metal Fest 2017 festival. Moshfest 2016 will take place at Secret Place in Montpellier, France on May 12-14, 2016. Crowbar, Doom and Discharge are among the bands that will perform at Moshfest 2016. Euskal Assault 2016 will take place at Plateruena in Durango, Spain on March 12, 2016. 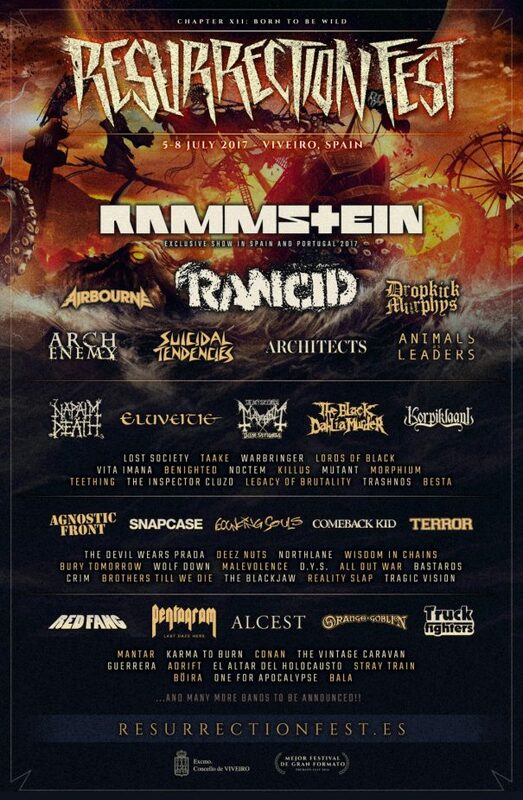 Cancer, Benighted and Sinister are among the bands that will perform at the Euskal Assault 2016 festival. Gohelle Fest 2015 will take place in Loos-en-gohelle, France on September 04-05, 2015. Obituary, Carcass and Entombed AD are among the bands that will perform at the Gohelle Fest 2015 festival. Kaltenbach Open Air will take place in Spital am Semmering, Austria on August 20-22, 2015. 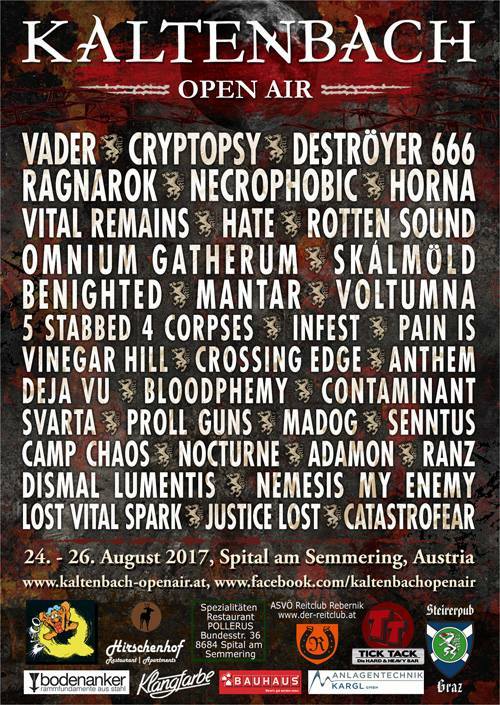 Agalloch, Rotting Christ and Marduk are among the bands that will perform at the Kaltenbach Open Air 2015 festival.